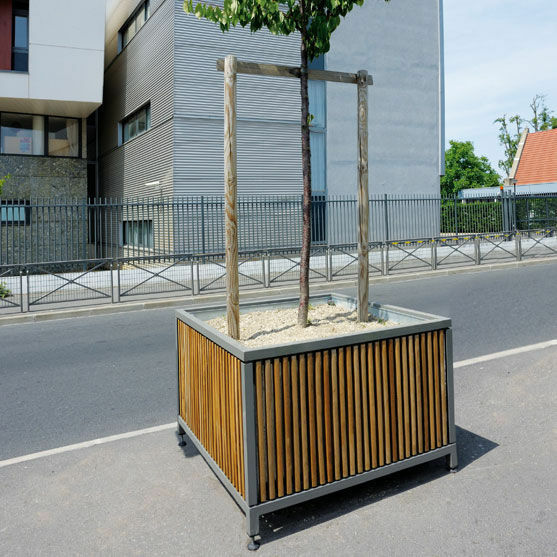 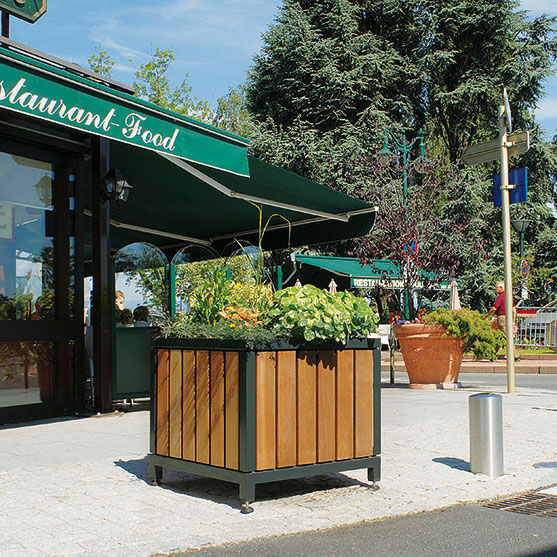 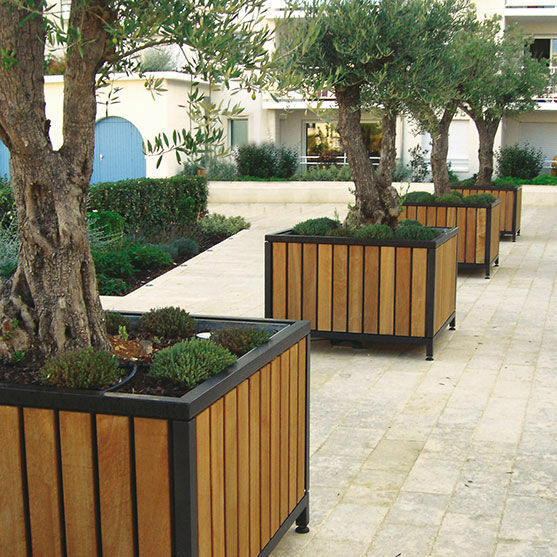 MAZAGAN square planters offer a wide range of decorative cladding: steel strips and different sections of wood (28, 54 or 110 mm). Each model can be fitted with wooden sections identical to associated benches and litter bins to create a harmonious whole. 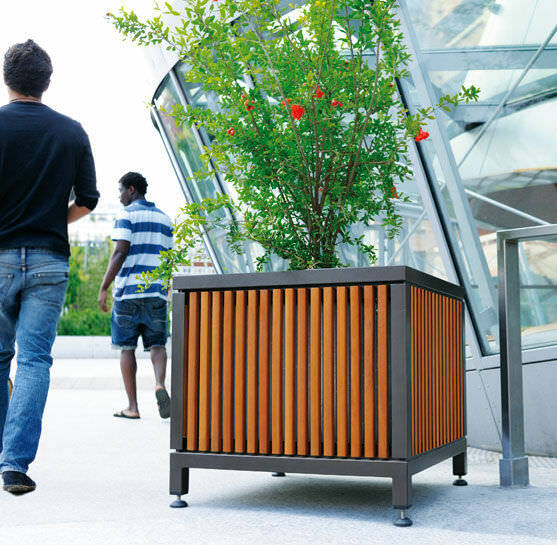 These planters can be placed side by side to create an enhanced plant setting. 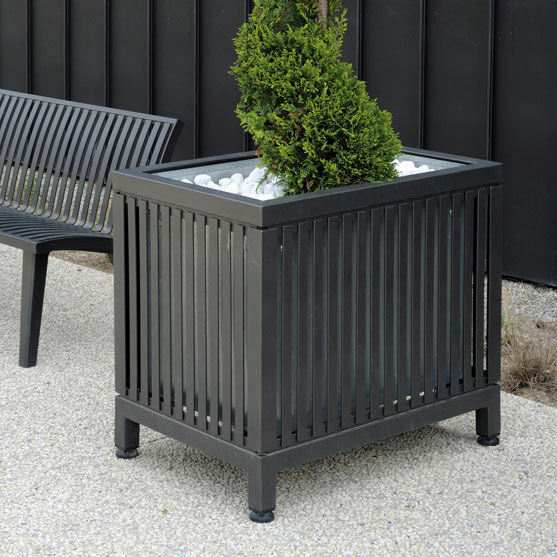 The models come in numerous sizes to suit all locations and choice of plants.